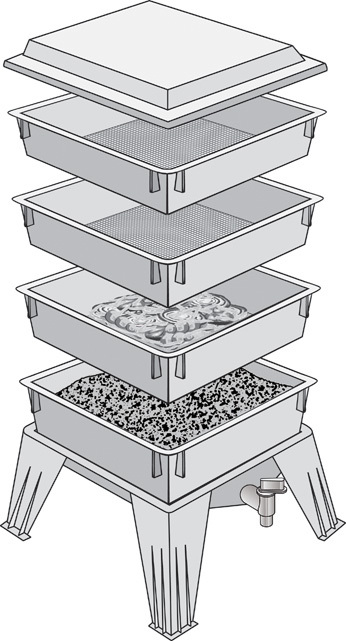 The Worm Factory and The Worm Factory 360 is unlike homemade plastic composting bins that you have to sift through in order to collect the worm castings. 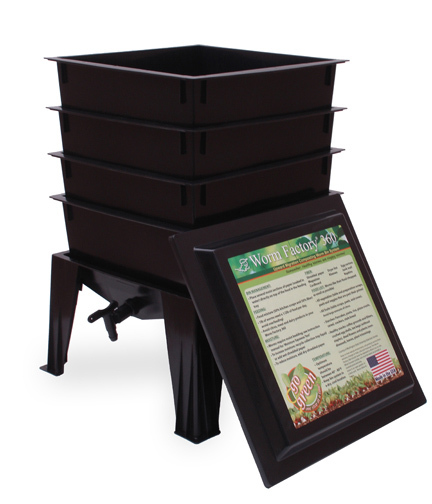 It's a flow-through worm compost bin system that separates the worms from the castings or vermicompost automatically. People are slowly waking up to the fact that synthetic fertilizers kill the beneficial organisms that all plants depend on for their overall growth, health and yield outputs. 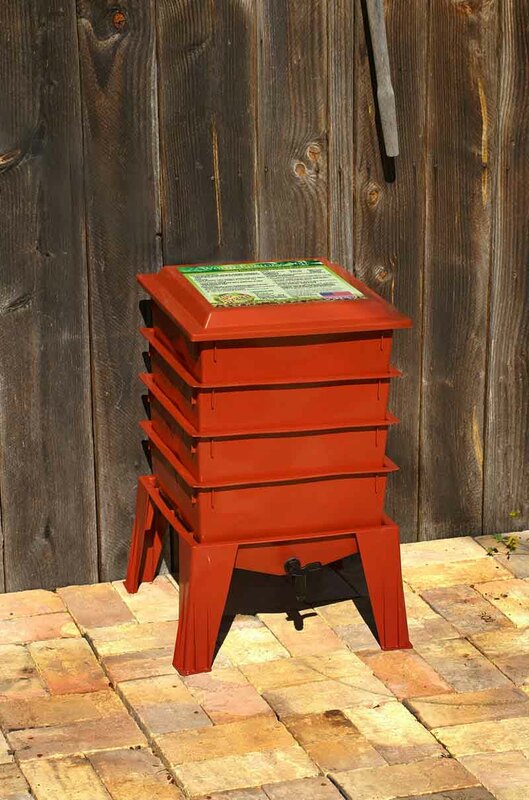 Gardeners are also coming to understand that there are more beneficial microbes in worm castings than traditional compost piles. 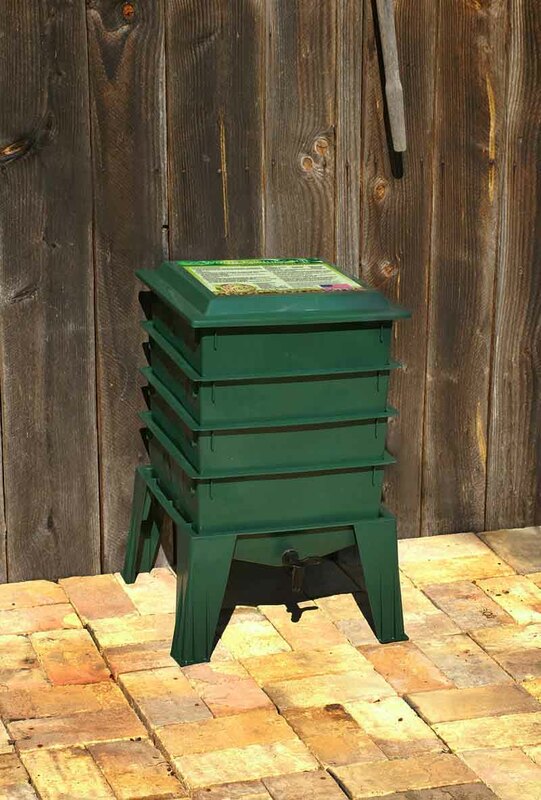 Traditional outdoor composts can take 6-9 months to break down and still not be as nutritional for plants as vermicastings (worm poop). Worms feed on kitchen scraps that would ordinarily end up in landfills creating toxic gases. 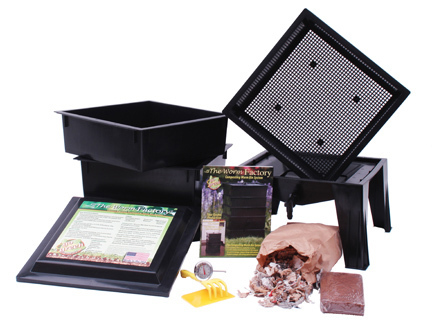 You can have compost within a matter of a month with a vermicompost system. 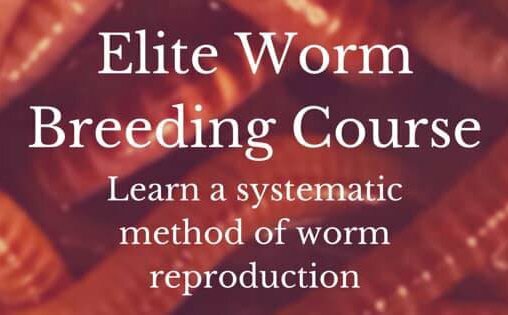 Worm Poop contains 5-11 times more nitrogen, potassium and phosphorus than that of normal surrounding soil and a neat part is that worm castings can not burn your plants. After all, it's not a chemical. It's living matter (microbes) which plants absorb. Learn everything you need to get started by reading the	Free Worm Farming Guide while you wait for your shipment. 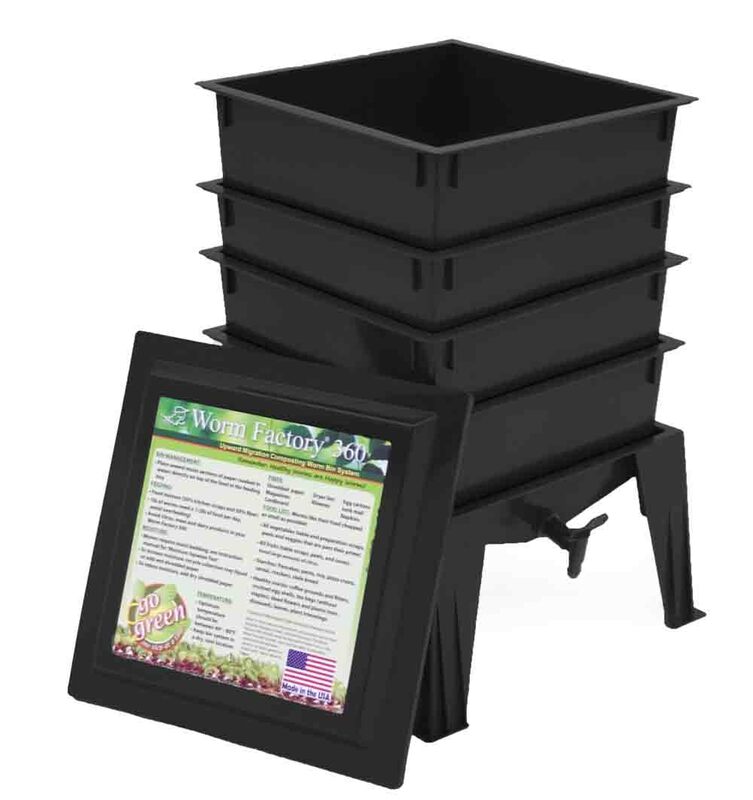 This Factory is one of the worlds leading worm composting bins that's used all-year-round to convert kitchen scraps into a natural earthy smelling compost while sitting outside or inside your home, office or school. They are very attractive and don't take up much space. They have no bad odors and are a great conversational piece to have in or outside the home. I have one in my living room. 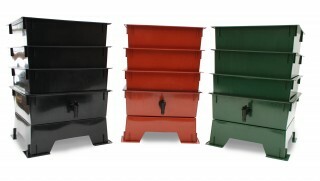 for mixing & matching or Bulk Orders or for more trays and accessories. 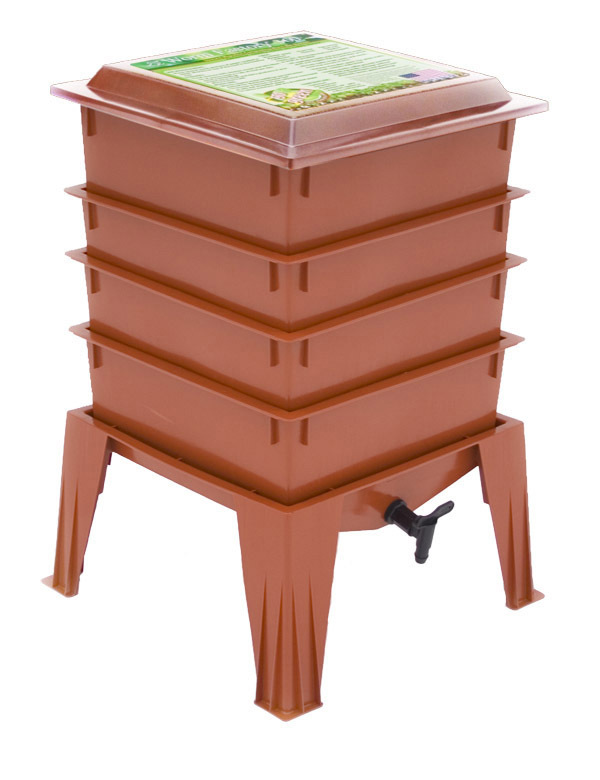 Contact Us for a quote on purchasing and shipping a Worm Factory outside the USA or the 48 States. 5. Made in the U.S.A. 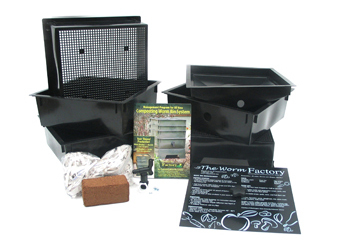 Contact Us for a quote on purchasing and shipping a Worm Factory outside the USA or 48 States.